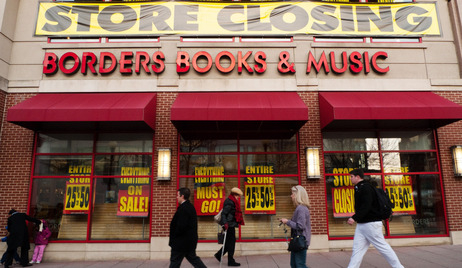 Now that Borders bookstores have gone out of business (below), what is the best way to find and go buy classical music CDs? And especially in Madison, Wisconsin, where I live and where the nearby Borders used to be pretty good. Of course, there is always Barnes and Noble, though they have cut back drastically ont heir stock. I tend to favor the Exclusive Company on State Street (bel0w). The manager David has proven very helpful in ordering classical CDs and getting them in quickly for a good competitive price. But their in-store stock has also been cut way back. 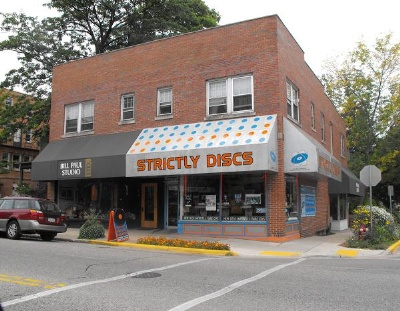 There are used stores, like Strictly Discs on Monroe Street, for older releases or out-of-print CDs. And then there are on-line companies like Amazon, Tower and Arkiv, though I feel bad about doing business with some of the very places that put Borders outy of business. After all, you could say that what the big-box, national chain Borders did to local independent booksellers, the on-line sellers have to Borders. As always, it seems what goes round comes round. Anyway, I would love any advice about the best way and best place to keep up with new classical music releases. I don’t want to hear iTunes as a solutions because I don’t like what earphones or earbuds to to my inner ear (experts say it is unhealthy) and if I burn a CD I like all the cover stuff. I just like it as “hardware” software and I just like to hear the music through a good speaker system, not just a pod or MP3. So readers: What advice do you have? Frankly, I think the problem of buying music is even greater! I was looking for music for a gig, and the best source turned out to be The Frugal Muse. Let’s see what other readers suggest. I order new releases from Strictly Discs…most everything comes in the next day. That is very good information to know. I completely agree – I much prefer to own a CD than a digital copy. I find some really great CDds and some good deals at Halfprice Books (there are several of them here in the Twin Cities). Other than that, I actually like Amazon because many smaller companies sell through them – especially used bookstores. It you look at the used options, you can see where the things you order are actually coming from. The closing of Borders hurts classical music lovers especially hard. The west side store in Madison not only had a decent selection of discs, but also DVD performances. I know we are going the way of streaming via the iCloud in the near future, but let’s pray then can figure out a way to stream Hi Rez efficiently. Classical music requires more than even a 320 kbs can provide in terms of fidelity. No, I am not an audiophile, but like Jacob, I prefer to listen to Mahler on my dinosaur stereo system, and the lower the bit rate, the more lame the sound. The intricate and dynamic nature of classical music requires at least a WAV file (although SACD is by far the best) in order to appreciate what the piece has to offer. Thanks for the backup and agreement. It’s reassuring to know I am not alone. And I too miss those good old days you mention. I’ve sometimes lucked out at estate and garage sales, although the selection is pretty random. But the prices are good. That’s a good tip. Thank you. But used CD places actually get estate collections too. I tend to like new things (new releases and new copies) and usually have a specific piece or artist in mind. But estate sales are indeed something to consider. Arkivmusic.com is a great service. I’ve gotten anything I ordered very promptly (at regular shipping cost), they can get anything that is in print on CD or DVD, and best of all they have a wonderful service that makes available out-of-print CD’s. Every couple of weeks they post new “Arkiv CD” reissues of titles that are otherwise unavailable, unless you can find them used. They come with the original cover art, booklet, etc. I’ve had no trouble playing any of these on any of my CD players. They now have over 10,000 titles, some of which had never even been on CD before, with many treausres from the vaults that should never be out-of-print. I like the corporate mentality that I detect here. This outfit seems to be run by people who genuinely love and “GET!” classical music. I know this sounds like an ad, but I get no commissions from them, honestly! Their website is also quite user-friendly, even for a computer-impaired person like myself. I’ve even used it just as an on-line reference to look up repertoire, artists’ discographies, etc. It was set up by people who know that it matters WHICH Mozart Piano Concerto in E-flat you are looking for. I’m a person who desperately misses the days of record shops and CD-palaces. 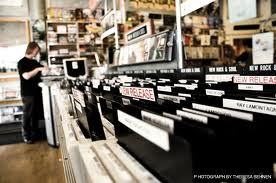 I love to browse, to hold the disc in my hand before buying and to chat with the guru behind the counter and fellow music addicts in the store. I even ran into Jake Stockinger sometmes! Those were the days, sigh. Happy hunting, and yes I’ll miss Borders too. Your reply is enlightening and detailed, as always. I have dealt with Archivmusi.com and find both the music and the printouts of covers just fine. It is fine place to order — though I still miss wandering around browsing among books and CDs and magazines. I guess I’m just a brick and mortar kind of guy. And you never know who you will bump into while browsing! I wanted to chime in from Belgium, Europe. It’s the same over here. Fnac (French-based bookseller chain) is present in all big cities. Smaller places still have independent shops. However these are closing down one after the other. There is one large brick and mortar shop (they themselves say the largest in the world): Saturn in Cologne, Germany which has a gigantic choice. Two tips from the online department: Europadisc.co.uk is one of my favorites as well as jpc.de. Also, I agree wholeheartedly to the comment on the audio quality from iTunes. It is indeed insufficient for classical music. It’s reassuring — and upsetting at the same time — to know it isn’t just an American problem. I have ordered from Europadisc and it is indeed a reliable company to deal with. Also, I am pleased so many others share my dislike of earbuds for classical music. Some solo piano Bach is fine, I find, but music with big dynamics contrasts — like opera and orchestral music — is just not good on it. And you put your hearing at risk too. 100% agree with you on everything, Jake. It’d be great if the record industry could just come back to life and re-invent itself. It’s just too bad that downloads and technology ruined the whole record-buying experience all around, not just for classical music buffs, but for everyone that bought records. And classical music suffers quite possibly more than any other genre because people aren’t just going to download one movement of a piano concerto, they’ll want the whole thing. Not to mention the fact that you can’t have Hilary Hahn on a CD without Hilary herself on the cover. I completely agree about those earbuds–I have an iPod I never use because those damn earbuds just plain hurt. I have a nice comfy, powerful set of headphones and a portable CD that I use for everything now.